I received this mask as a giveaway prize. Directions: After cleansing, use toner to refine skin texture. 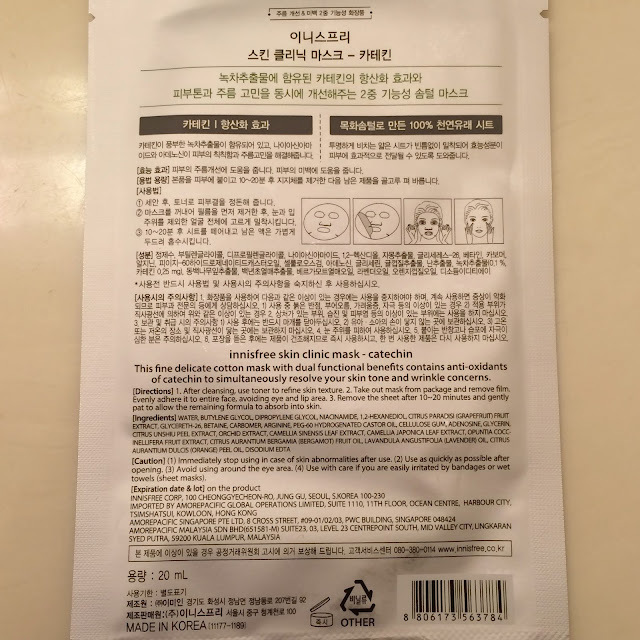 Take out mask from package and remove film. Evenly adhere it to entire face, avoiding eye and lip area. 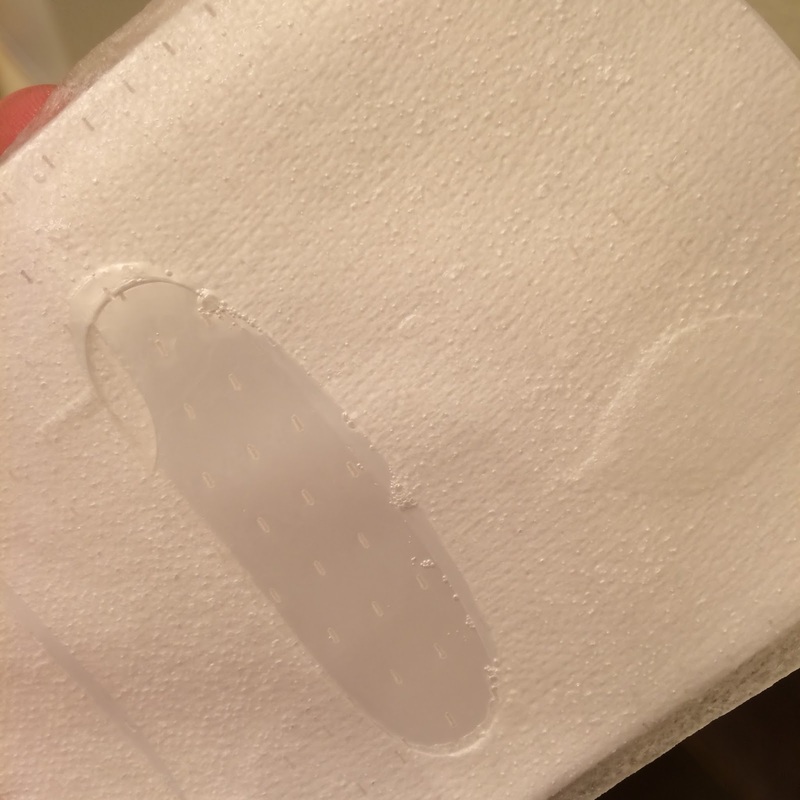 Remove the sheet after 10~20 minutes and gently pat to allow the remaining formula to absorb into skin. 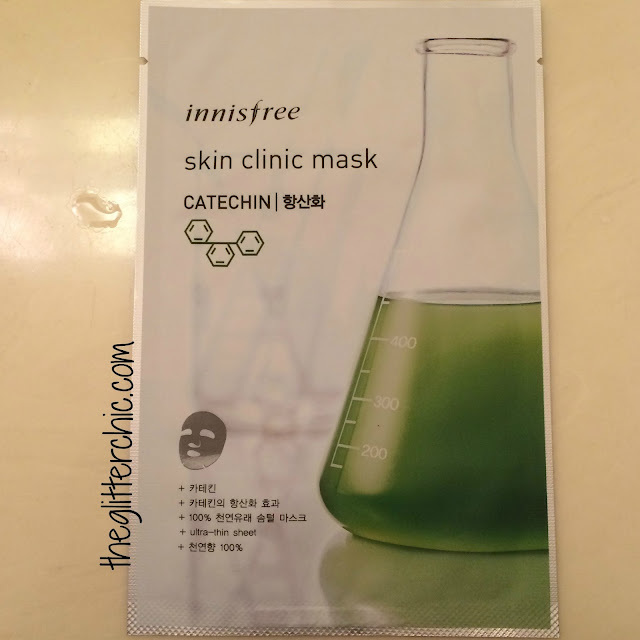 Performance: The Innisfree Catechin variety Skin Clinic Sheet Mask is made from a super thin cotton material that is very easy to apply and conforms to the face very well, and stays put! The smell is like a citrus scent (likely the grapefruit) mixed with a hint of pine - It's very refreshing and a bit calming. The mask was a bit cooling, and felt very nice against my irritated skin. 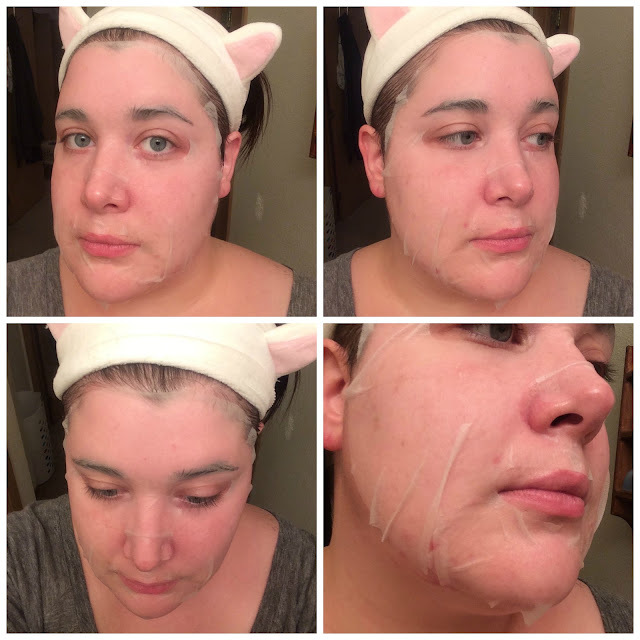 The mask held a perfect amount of essence and stayed damp for about 30 minutes after a brief re-application of leftover essence. 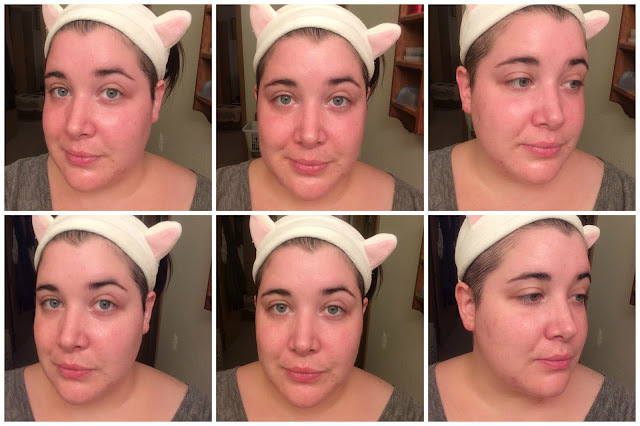 After 30 minutes the redness in my face was gone, the irritation had subsided, and the redness and puffiness in my acne had been greatly diminished. My skin felt hydrated and soft as well. Verdict: This is a great mask for irritated skin, I would definitely use this one again!